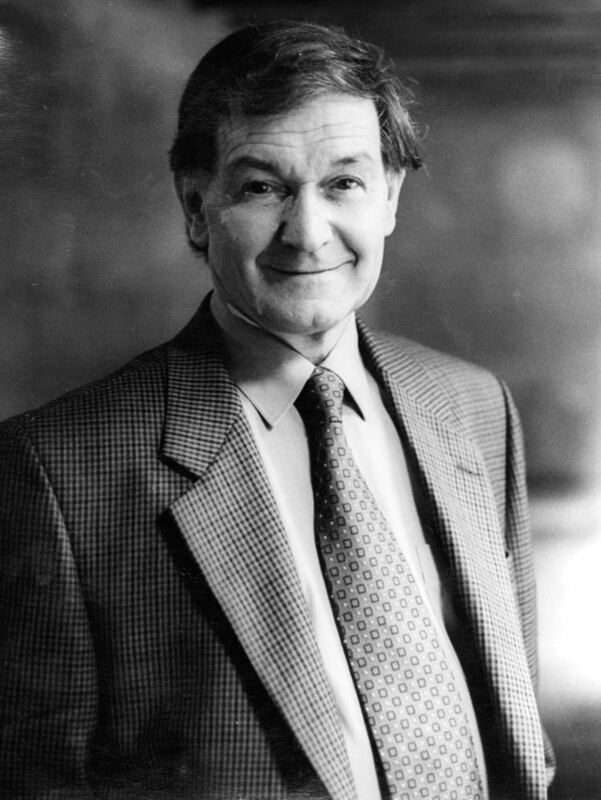 Sir Roger Penrose (born 8 August 1931) is an English mathematical physicist, mathematician and philosopher of science. He is the Emeritus Rouse Ball Professor of Mathematics at the Mathematical Institute of the University of Oxford, as well as an Emeritus Fellow of Wadham College. Penrose is known for his work in mathematical physics, in particular for his contributions to general relativity and cosmology. He has received several prizes and awards, including the 1988 Wolf Prize for physics, which he shared with Stephen Hawking for their contribution to our understanding of the universe. 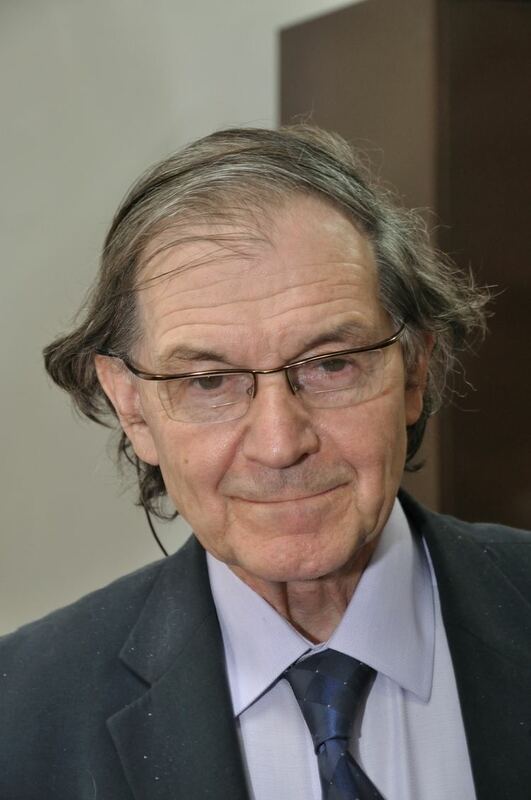 Born in Colchester, Essex, England, Roger Penrose is a son of psychiatrist and mathematician Lionel Penrose and Margaret Leathes, and the grandson of the physiologist John Beresford Leathes and his Russian wife, Sonia Marie Natanson. Penrose told a Russian audience that his grandmother had left St. Petersburg in the late 1880s. His uncle was artist Roland Penrose, whose son with photographer Lee Miller is Antony Penrose. Penrose is the brother of physicist Oliver Penrose and of chess Grandmaster Jonathan Penrose. Penrose attended University College School and University College, London, where he graduated with a first class degree in mathematics. In 1955, while still a student, Penrose reintroduced the E. H. Moore generalised matrix inverse, also known as the Moore–Penrose inverse, after it had been reinvented by Arne Bjerhammar in 1951. Having started research under the professor of geometry and astronomy, Sir W. V. D. Hodge, Penrose finished his PhD at Cambridge (St John's College) in 1958, writing a thesis on "tensor methods in algebraic geometry" under algebraist and geometer John A. Todd. He devised and popularised the Penrose triangle in the 1950s, describing it as "impossibility in its purest form" and exchanged material with the artist M. C. Escher, whose earlier depictions of impossible objects partly inspired it. Escher's Waterfall, and Ascending and Descending were in turn inspired by Penrose. As a student in 1954, Penrose was attending a conference in Amsterdam when by chance he came across an exhibition of Escher's work. Soon he was trying to conjure up impossible figures of his own and discovered the tribar [see tri-bar for an image] – a triangle that looks like a real, solid three-dimensional object, but isn't. Together with his father, a physicist and mathematician, Penrose went on to design a staircase that simultaneously loops up and down. An article followed and a copy was sent to Escher. Completing a cyclical flow of creativity, the Dutch master of geometrical illusions was inspired to produce his two masterpieces. 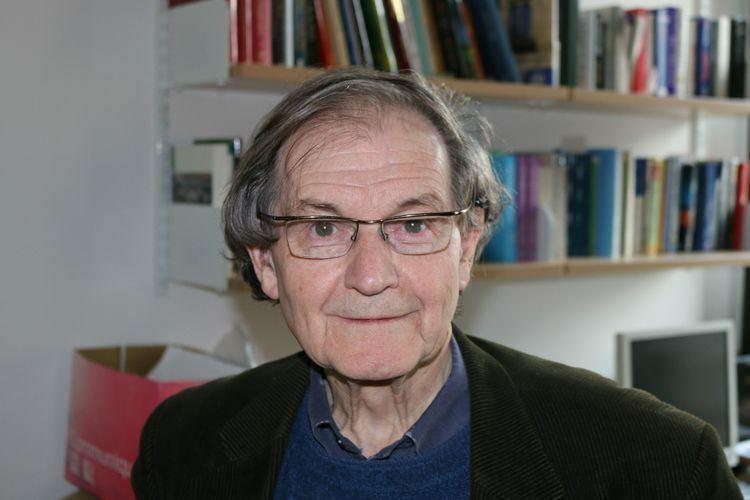 Having become a reader at Birkbeck College, London (and having had his attention drawn from pure mathematics to astrophysics by the cosmologist Dennis Sciama, then at Cambridge) it was in 1964 that, in the words of Kip Thorne of Caltech, "Roger Penrose revolutionised the mathematical tools that we use to analyse the properties of spacetime". Until then work on the curved geometry of general relativity had been confined to configurations with sufficiently high symmetry for Einstein's equations to be soluble explicitly, and there was doubt about whether such cases were typical. One approach to this issue was by the use of perturbation theory, as developed under the leadership of John Archibald Wheeler at Princeton. The other, more radically innovative, approach initiated by Penrose was to overlook the detailed geometrical structure of spacetime and instead concentrate attention just on the topology of the space, or at most its conformal structure, since it is the latter — as determined by the lay of the lightcones — that determines the trajectories of lightlike geodesics, and hence their causal relationships. The importance of Penrose's epoch-making paper "Gravitational collapse and space-time singularities" was not only its result (roughly that if an object such as a dying star implodes beyond a certain point, then nothing can prevent the gravitational field getting so strong as to form some kind of singularity). It also showed a way to obtain similarly general conclusions in other contexts, notably that of the cosmological Big Bang, which he dealt with in collaboration with Dennis Sciama's most famous student, Stephen Hawking. It was in the local context of gravitational collapse that the contribution of Penrose was most decisive, starting with his 1969 cosmic censorship conjecture, to the effect that any ensuing singularities would be confined within a well-behaved event horizon surrounding a hidden space-time region for which Wheeler coined the term black hole, leaving a visible exterior region with strong but finite curvature, from which some of the gravitational energy may be extractable by what is known as the Penrose process, while accretion of surrounding matter may release further energy that can account for astrophysical phenomena such as quasars. Following up his "weak cosmic censorship hypothesis", Penrose went on, in 1979, to formulate a stronger version called the "strong censorship hypothesis". Together with the BKL conjecture and issues of nonlinear stability, settling the censorship conjectures is one of the most important outstanding problems in general relativity. Also from 1979 dates Penrose's influential Weyl curvature hypothesis on the initial conditions of the observable part of the universe and the origin of the second law of thermodynamics. Penrose and James Terrell independently realised that objects travelling near the speed of light will appear to undergo a peculiar skewing or rotation. This effect has come to be called the Terrell rotation or Penrose–Terrell rotation. In 1967, Penrose invented the twistor theory which maps geometric objects in Minkowski space into the 4-dimensional complex space with the metric signature (2,2). Penrose is well known for his 1974 discovery of Penrose tilings, which are formed from two tiles that can only tile the plane nonperiodically, and are the first tilings to exhibit fivefold rotational symmetry. Penrose developed these ideas based on the article Deux types fondamentaux de distribution statistique (1938; an English translation Two Basic Types of Statistical Distribution) by Czech geographer, demographer and statistician Jaromír Korčák. In 1984, such patterns were observed in the arrangement of atoms in quasicrystals. Another noteworthy contribution is his 1971 invention of spin networks, which later came to form the geometry of spacetime in loop quantum gravity. He was influential in popularising what are commonly known as Penrose diagrams (causal diagrams). In 1983, Penrose was invited to teach at Rice University in Houston, by the then provost Bill Gordon. He worked there from 1983 to 1987. In 2004, Penrose released, The Road to Reality: A Complete Guide to the Laws of the Universe, a 1,099-page comprehensive guide to the Laws of Physics that includes an explanation of his own theory. The Penrose Interpretation predicts the relationship between quantum mechanics and general relativity, and proposes that a quantum state remains in superposition until the difference of space-time curvature attains a significant level. Penrose is the Francis and Helen Pentz Distinguished Visiting Professor of Physics and Mathematics at Pennsylvania State University, USA. He is also a member of the Editorial Board of The Astronomical Review. In 2010, Penrose reported possible evidence, based on concentric circles found in WMAP data of the CMB sky, of an earlier universe existing before the Big Bang of our own present universe. He mentions this evidence in the epilogue of his 2010 book Cycles of Time, a book in which he presents his reasons, to do with Einstein's field equations, the Weyl curvature C, and the Weyl curvature hypothesis, that the transition at the Big Bang could have been smooth enough for a previous universe to survive it. He made several conjectures about C and the WCH, some of which were subsequently proved by others, and the smoothness is real, and where he also popularized his conformal cyclic cosmology (CCC) theory. In simple terms, he believes that the singularity in Einstein's field equation at the Big Bang is only an apparent singularity, similar to the well-known apparent singularity at the event horizon of a black hole. The latter singularity can be removed by a change of coordinate system, and Penrose proposes a different change of coordinate system that will remove the singularity at the big bang. One implication of this is that the major events at the Big Bang can be understood without unifying general relativity and quantum mechanics, and therefore we are not necessarily constrained by the Wheeler–DeWitt equation, which disrupts time. Alternatively, one can use the Einstein–Maxwell–Dirac equations. Penrose believes that such deterministic yet non-algorithmic processes may come into play in the quantum mechanical wave function reduction, and may be harnessed by the brain. He argues that the present computer is unable to have intelligence because it is an algorithmically deterministic system. He argues against the viewpoint that the rational processes of the mind are completely algorithmic and can thus be duplicated by a sufficiently complex computer. This contrasts with supporters of strong artificial intelligence, who contend that thought can be simulated algorithmically. He bases this on claims that consciousness transcends formal logic because things such as the insolubility of the halting problem and Gödel's incompleteness theorem prevent an algorithmically based system of logic from reproducing such traits of human intelligence as mathematical insight. These claims were originally espoused by the philosopher John Lucas of Merton College, Oxford. The Penrose–Lucas argument about the implications of Gödel's incompleteness theorem for computational theories of human intelligence has been widely criticised by mathematicians, computer scientists and philosophers, and the consensus among experts in these fields seems to be that the argument fails, though different authors may choose different aspects of the argument to attack. Marvin Minsky, a leading proponent of artificial intelligence, was particularly critical, stating that Penrose "tries to show, in chapter after chapter, that human thought cannot be based on any known scientific principle." Minsky's position is exactly the opposite – he believed that humans are, in fact, machines, whose functioning, although complex, is fully explainable by current physics. Minsky maintained that "one can carry that quest [for scientific explanation] too far by only seeking new basic principles instead of attacking the real detail. This is what I see in Penrose's quest for a new basic principle of physics that will account for consciousness." Penrose responded to criticism of The Emperor's New Mind with his follow up 1994 book Shadows of the Mind, and in 1997 with The Large, the Small and the Human Mind. In those works, he also combined his observations with that of anesthesiologist Stuart Hameroff. Penrose and Hameroff have argued that consciousness is the result of quantum gravity effects in microtubules, which they dubbed Orch-OR (orchestrated objective reduction). Max Tegmark, in a paper in Physical Review E, calculated that the time scale of neuron firing and excitations in microtubules is slower than the decoherence time by a factor of at least 10,000,000,000. The reception of the paper is summed up by this statement in Tegmark's support: "Physicists outside the fray, such as IBM's John A. Smolin, say the calculations confirm what they had suspected all along. 'We're not working with a brain that's near absolute zero. It's reasonably unlikely that the brain evolved quantum behavior'". Tegmark's paper has been widely cited by critics of the Penrose–Hameroff position. In their reply to Tegmark's paper, also published in Physical Review E, the physicists Scott Hagan, Jack Tuszyński and Hameroff claimed that Tegmark did not address the Orch-OR model, but instead a model of his own construction. This involved superpositions of quanta separated by 24 nm rather than the much smaller separations stipulated for Orch-OR. As a result, Hameroff's group claimed a decoherence time seven orders of magnitude greater than Tegmark's, but still well short of the 25 ms required if the quantum processing in the theory was to be linked to the 40 Hz gamma synchrony, as Orch-OR suggested. To bridge this gap, the group made a series of proposals. He supposed that the interiors of neurons could alternate between liquid and gel states. In the gel state, it was further hypothesized that the water electrical dipoles are oriented in the same direction, along the outer edge of the microtubule tubulin subunits. Hameroff et al. proposed that this ordered water could screen any quantum coherence within the tubulin of the microtubules from the environment of the rest of the brain. Each tubulin also has a tail extending out from the microtubules, which is negatively charged, and therefore attracts positively charged ions. It is suggested that this could provide further screening. Further to this, there was a suggestion that the microtubules could be pumped into a coherent state by biochemical energy. Finally, he suggested that the configuration of the microtubule lattice might be suitable for quantum error correction, a means of holding together quantum coherence in the face of environmental interaction. Hameroff, in a lecture in part of a Google Tech talks series exploring quantum biology, gave an overview of current research in the area, and responded to subsequent criticisms of the Orch-OR model. In addition to this, a recent 2011 paper by Roger Penrose and Stuart Hameroff gives an updated model of their Orch-OR theory, in light of criticisms, and discusses the place of consciousness within the universe. Phillip Tetlow, although himself supportive of Penrose's views, acknowledges that Penrose's ideas about the human thought process are at present a minority view in scientific circles, citing Minsky's criticisms and quoting science journalist Charles Seife's description of Penrose as "one of a handful of scientists" who believe that the nature of consciousness suggests a quantum process. In January 2014 Hameroff and Penrose claimed that a discovery of quantum vibrations in microtubules by Anirban Bandyopadhyay of the National Institute for Materials Science in Japan confirms the hypothesis of Orch-OR theory. A reviewed and updated version of the theory was published along with critical commentary and debate in the March 2014 issue of Physics of Life Reviews. Penrose is married to Vanessa Thomas, director of Academic Development at Cokethorpe School and former head of mathematics at Abingdon School, with whom he has one son. He has three sons from a previous marriage to American Joan Isabel Wedge, whom he married in 1959. Penrose is an atheist. In the film A Brief History of Time, he said, "I think I would say that the universe has a purpose, it's not somehow just there by chance ... some people, I think, take the view that the universe is just there and it runs along – it's a bit like it just sort of computes, and we happen somehow by accident to find ourselves in this thing. But I don't think that's a very fruitful or helpful way of looking at the universe, I think that there is something much deeper about it." Penrose is a Distinguished Supporter of the British Humanist Association. His deep work on General Relativity has been a major factor in our understanding of black holes. His development of Twistor Theory has produced a beautiful and productive approach to the classical equations of mathematical physics. His tilings of the plane underlie the newly discovered quasi-crystals. 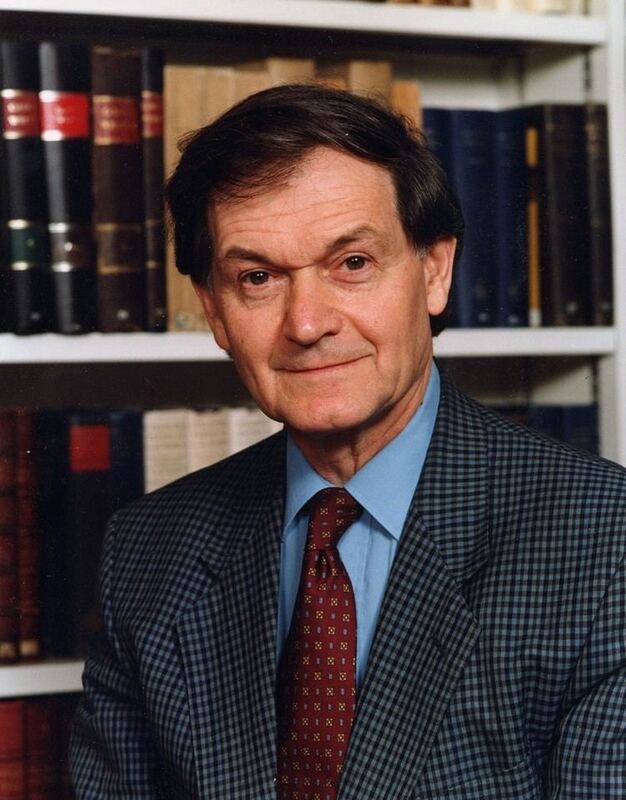 In 2005 Penrose was awarded an honorary doctorate by Warsaw University and Katholieke Universiteit Leuven (Belgium), and in 2006 by the University of York. In 2008 Penrose was awarded the Copley Medal. He is also a Distinguished Supporter of the British Humanist Association and one of the patrons of the Oxford University Scientific Society. In 2011, Penrose was awarded the Fonseca Prize by the University of Santiago de Compostela. 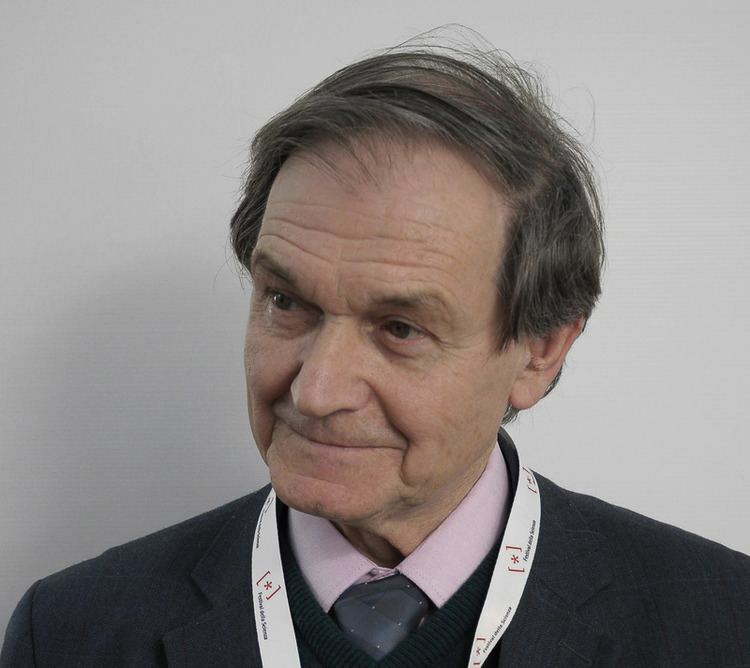 In 2012, Penrose was awarded the Richard R. Ernst Medal by ETH Zürich for his contributions to science and strengthening the connection between science and society. In 2015 Penrose was awarded an honorary doctorate by CINVESTAV-IPN (Mexico). Foreword to Beating the Odds: The Life and Times of E. A. Milne, written by Meg Weston Smith. Published by World Scientific Publishing Co in June 2013. Foreword to Quantum Aspects of Life by Derek Abbott, Paul C. W. Davies, and Arun K. Pati. Published by Imperial College Press in 2008. Foreword to Fearful Symmetry' by Anthony Zee's. Published by Princeton University Press in 2007. Foreword to "A Computable Universe" by Hector Zenil. Published by World Scientific Publishing Co in December 2012.